In 2015 Ocean Foesters, a multidisciplinary team, began a detailed investigation into The Tidal Irrigation and Electrical System. This process revealed that developments embodied in the patent pending Tidal Irrigation and Electrcal System 2 were substationally on the right track. This means that while the basis of this website is correct the details are out of date. Technical details are published on the uspto.gov website under the Sustainable Ocean Community (SOC) (patent pending). The following open letter was published on the Climate Council’s page by Ocean Foresters looking at ways to save coral reefs and help bring a carbon neutral economy into being using deep ocean water and marine plants. We are calling the project Haven Atolls. The 2016 survey of the northern section of the Great Barrier Reef found 95% of the coral is damaged or dead due to excessive ocean heat. Coral bleaching is not limited to Australia, but is occurring in every ocean around the world. The collapse of coral reefs affects the global food supply because about half of the fish that humanity eats spend part of their lives on coral reefs. Apart from the ecological damage, loss of the world’s coral reefs would cause severe economic dislocation and food shortage for millions of people. Reefs also provide structural support and protection for coastal communities. Without living reefs, damage from erosion and sea level rise will be exacerbated. The cause of the reef damage is excess carbon dioxide added to the atmosphere leading to global warming. In the medium term, humanity will develop the political will to implement carbon-free replacements for coal, oil and natural gas that will help to reduce the amount of carbon dioxide in the air. However, the real problem we face is that emission reductions alone are just too slow to prevent catastrophic biodiversity loss. The damage is happening right now. Immediate steps are needed to reduce the heat, acidity and nutrients that are killing our reefs. The good news is we can save reefs now by providing cooler and cleaner water in atolls. As Australian Climate Council Chief Councillor Dr Tim Flannery argues in Atmosphere of Hope, our group, the Ocean Foresters, have presented compelling argument that large scale deployment of artificial forests of seaweeds, kelps and algae is the most promising response to fixing ocean health and removing CO2 http://www.theguardian.com/books/2015/nov/20/climate-crisis-future-brighter-tim-flannery.. summarises Dr Flannery’s citation of Ocean Foresters. Our website, oceanforesters.org, also presents peer-reviewed scientific papers describing the overall system. Ocean Foresters’ key initial proposal is called Haven Atolls, a practical system for protecting coral by growing large amounts of marine plants for fuel, food, fertilizer, fabric and fodder. 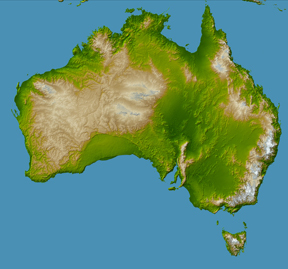 Australia has the need, expertise, resources, locations and innovative culture to lead the world on Haven Atolls, specifically targeted to the coral systems under most threat from global warming. Haven Atolls will integrate the sourcing and recycling of nutrients for plant growth, the production of fresh water, the production of electricity and algae seaweed products and the protection of local corals into a single system. The Haven Atolls key idea is to bring deep ocean water to the surface and feed it into coral atolls. This cool nutrient-rich ocean water can support sustainable aquaculture in a coral atoll. Importantly, once the nutrients have been absorbed by the aquatic plants, deep ocean water can be stored in large volumes and used to cool coral during heat waves. The Haven Atoll will serve as a reservoir of biodiversity and its coral and biota can be used to seed the dead reefs near the haven. The system will also produce fresh water and electricity. Haven Atolls could include Hydro-Thermal Liquefaction (HTL), a proven method to produce gas and oil from any organic material, using heat and pressure. The fastest growing plants are aquatic, so HTL technology could be cost-effective based on marine algae. HTL is one of several components we propose as part of our plan to use Haven Atolls to help save the world’s coral from extinction. The Haven Atoll project can make significant additions to global food security and help move toward the goal of negative carbon emissions, as identified by world governments in the Paris Climate Agreement as necessary to keep warming below two degrees. Time is the enemy of the world’s ocean creatures reliant upon corals. Our magnificent reefs are already dying. We do not know how many have gone extinct or will soon. By creating shelters for reef systems to adapt we can save the reefs, while developing practical technology for sustainable energy and food supply, and beginning to remove the dangerous extra carbon that fossil fuels have added to our air and sea. All participation is individual, not representing any institution. In December of 2014, I presented a poster at the American Geophysical Union’s conference in San Francisco titled ‘Carbon Sequestration through Sustainably Sourced Algal Fertilizer: Deep Ocean Water’. It compared the TIESystem (the central purpose of this website) with other potential users of deep ocean water (DOW). The paper then went on to examine the advantages of growing marine plants for energy uses like biofuels in a TIESystem on the continental shelf over growing algae in open ponds on the land. While there, I met many interesting engineers and scientists who were kind enough to consider my proposal, offer advice and point out errors I had made. A few of these AGU meetings have led to collaborations that I intend to write about in a later blog. Critically, these conversations reinforced my conviction in the project and gave me new impetus. Since returning to London, I have rewritten the poster in line with the new data. The most important change has been to the amount of marine plant growth that is to be expected in a cubic meter of DOW if it is exposed to sunlight. I had based my estimate of 5 grams on natural upwellings. However, this paper ‘Effects of Deep Seawater on the Growth of Several Species of Marine Micro-Algae’ experimentally verified a growth rate of around 147 grams per cubic meter of pure DOW. This increase of approximately 29 times in the expected energy density of algal growth to DOW brought to the surface has profound implications for the TIESystem. Previously, I had focused on building TIESystems on tropical or subtropical continental shelves in order to gain concomitant electricity generation from the thermal potential in the seawater above 20c. Ocean thermal energy conversion (OTEC) systems, under ideal conditions, can produce ten to twenty times as much energy as the tidal flow of water through a traditional turbine. However, this new data means that marine plant growth yields nearly ten times as much energy as OTEC possibly could. What is more, this amount of growth means that it is economically viable to build TIESystems on temperate continental shelves like the North American Eastern Seaboard or the Bay of Biscayne in Europe. Temperate seas are characterized by larger tidal fluxes than most of the tropics and a TIESystem’s biological productivity goes up in direct proportion to the tidal flux. The west of the United Kingdom has some exceptionally wide tidal fluctuations. This has inspired several companies to propose constructions which exploit this. Tidal Lagoon Swansea Ltd. has now put forward its own scheme. The technology is maturing with companies like Tidal Electric developing in fields like Alaska and Mexico. TE also tried to harvest tidal energy in the Bay of Bristol but ran into planning constraints and the project faltered. A similar fate awaited the Severn barrage but in that case this author feels that caution was warranted. By blocking off the whole channel the barrage would interfere with wetlands and the fish nurseries in them. Also the UK seems to be moving into a high precipitation phase and so decreasing flood runoff potential is political suicide. The Tidal Irrigation and Electrical System is also a tidal lagoon design but its unique feature is to harvest thermal energy from the water. Under normal conditions ten times more energy can be derived from the heat in seawater than from its tidal flow. Also, by introducing deep ocean water into the lagoon it becomes a bioreactor: a place to grow material that can be used to make food, fuel or fertiliser. About a year ago I wrote a post about Fracking and the dangers of opening up a new fossil source of CO2. I also predicted that the societal and economic pressure to exploit this resource was probably going to surmount the warnings that the consumption of traditional carbons were likely to cause enormous climate change and sea level rise. The previous year has proved my prediction. Many nations are joining the bonanza. The scale of the reserve of shale is enormous and new fields are being discovered regularly. .
Sea level rise and global temperature rise is occurring but so far the floods in America, Thailand, Europe, China, Australia and elsewhere seem to be part of a pattern of extreme events that are in the recorded past. There has also been a discrepancy between the predicted global temperature rise and the actual recorded rate of increase since 1998. Climate change sceptics and some of those who perceive there to be an economic incentive to continue to invest political and fiscal capital in the current energy paradigm have used this deviation to delay investment and action. However, it should be no surprise that a complex system like the climate is behaving in a non-linear fashion. Linear behaviour (or the smooth transition from one state to another) is actually the exception in nature. Earthquakes, economic booms and busts, and growth spurts in children are all examples of the tendency of systems to respond to long term pressure in jolts, arriving at a new resting energy state. Dr. Judith Curry illustrates the point beautifully in this paper on Eurasian sea ice. The implications are stark. We should expect the climate to change in waves, moving slowly and then suddenly changing into a new state. The geologic record shows that locales have moved from one type of landscape to another within a space of a few years and remained stable in that new state for thousands of years. The Sahara desert was once filled with a forested savanna in which humans swam and hunted big game for thousands of years – but for the last 5000 years it has been what we know now. The underlining pressure on the climate to change is building, and the signs are there to see besides the rising levels of CO2. 2013 was the warmest year in the Atlantic on record. This is bad news for the productivity of the North Atlantic. Thermoclines created by the warmer water prevent the flow of nutrients to feed the marine plants at the base of the food chain. Incidentally, the overarching purpose of this site is to promote an invention by the author that surmounts the thermoclines and harnesses the potential energy. This reserve of energy in the North Atlantic will do more than change the species in the ocean and lower catches of cod. There are many climate faults that could break: The Greenland Ice cap, methane hydrates, melting tundra, and even earthquakes and volcanoes . One of these could cause the sudden change itself or trigger a cascade of events. Switching to energy systems like the patent described in this site, which move us away from fossils fuels, has been urgent for more than a decade. Much potential energy has been put into the ocean and its full effects are yet to be felt. The problem with sudden change is that the scale of the effort, the cost of the loss of property and infrastructure, and the number of simultaneous emergencies may push western society into chaos, at least for a while. For instance, the last time CO2 levels were at this level, sea level was around 25m higher than it is now. Let us imagine that this comes to its homeostatic level in a series of 2-3m pulses over the next 200 years: One every 20 years, sometimes none for 40-60 years – and then a big jump. An added factor is that the goal posts are constantly shifting: Emissions go up as more fossil fuels are burned, increasing the pressure on the environment to find a new and higher level. Notice the linear nature of the impacts and that the eastern edges appear to have a similar profile. 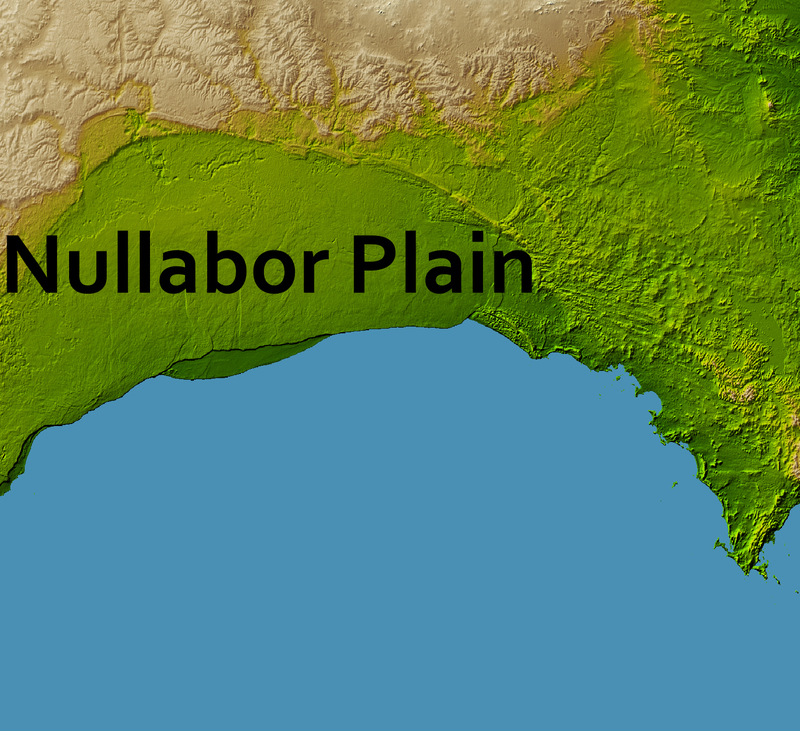 The Nullabor Plain was created by separation of Australia from Antarctica and is structurally similar to the northern coast of the Gulf of Mexico. Curvilinear features like these are unlikely, in my opinion, to be the result of an other event besides that of a celestial impact. The growth of homogenic carbon dioxide in the atmosphere since the industrial revolution has convinced the majority of the scientific community that the earth is poised to begin an ever increasing warming trend. It has terrified the most influential scientists and lead to the advanced study of geoengineering schemes. At the cost of billions, if not trillions, of dollars the earth may be shaded by items floating in space or by changing the atmosphere, or some other modification so that less light reaches the ground. A few of these plans attempt to deal with the problem from the other side – by absorbing carbon dioxide directly from the atmosphere in the hope to offset the burning of fossil fuels. Flue filters and artificial trees seem like good ideas, except that the energy cost is very large and there are no storage solutions that can guarantee containment for geologic time. By this reasoning, shading the earth seems like the way to go. There is, however, a whole different set of problems created by having an excess of CO2 in the air. This is about how the atmosphere and the oceans interact to create carbolic acid and is known as ocean acidification. I blogged about it here. The long and the short of it is that as the ocean becomes more acidic, corals and some planktons find it harder and harder to grow until they die off. As the effect increases, the whole oceanic food web breaks down. The major geologic models we have eventually resulted in extinction events, the largest of which killed off 95% of the life in the ocean. We are a long way off of that but even a slight change can have remarkably deleterious effects on the ocean’s ability to produce food. Some of the latest horrifying figures can be found in this article, which details a report from the UN and this one about a model of surface uptake. One biologist, Ronald Osinga, presented an interesting idea at a symposium involving the growing of sea lettuce (ulva lactuca) to combat the acidification of the ocean. Roelof Kleis wrote an article about the symposium which was held at Wageningen, the Netherlands by the International Society for Reef Studies (ISRS). It had an emphasis on climate change and the deleterious effects it will have on coral reefs. Presented on the last day, Osinga pointed out the pollution caused by current fish farming techniques could be utilised to grow sea weeds for human consumption or for food for fish. Osinga and his colleagues have calculated that a ‘marine garden’ of 180,000 square kilometres could provide enough protein for the entire world population. A sea lettuce bed of such gigantic proportions would raise the pH (acidity level) of the Mediterranean Sea by one tenth. That may not seem much, but according to Osinga, it would be enough to compensate for the rise in acidity that started with the industrial revolution. My criticism of the scheme is that it fails to account for the eventual nutrient loss if either the fish or the sea lettuce are taken from the system for consumption by humans. This aside, the proposal does have huge implications for the Tidal Irrigation and Electrical System (TIE System), the subject of this blog. One of the key components of a TIE System is its ability to deliver the nutrients necessary to a lagoon isolated from the surrounding ocean, in order to create a sustainable aquaculture. It does this while producing electrical power. The TIE System is driven by tidal action and so it is difficult to estimate the amount of power generated by Osinga’s 180,000 square kilometre figure. But, if there was a tidal swing average of 2.33 meters and each TIE System had a diameter of 20 kilometres, the 573 aqua farms should produce about 36.3 TeraWatt Hours every flux. This is on top of producing the sea weeds necessary to change the pH of the oceans to offset the consequences of fossil fuel use AND feed the whole population of the world. It is worth noting that 36.3 TeraWatt hours per flux is about 23,849 TeraWatt hours per year. In 2007 world consumption of electricity was 17,109.7 TeraWatt hours. The economic and societal imperative to develop the Tidal Irrigation and Electrical System seems to become increasingly evident as time passes.